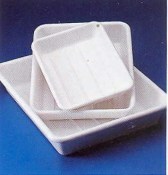 ABS tray suited to use with foodstuffs and perfect for waterstones. Quality KARTELL - Italian made Labware. PVC tray with ribbed base, perfect for photographic dark room use and waterstones. 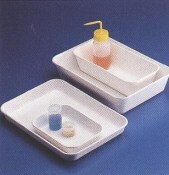 Quality KARTELL - Italian made Labware.